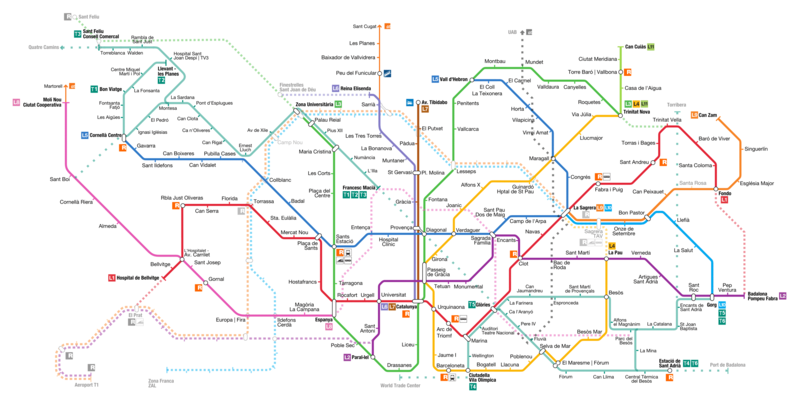 The public transportation system in Barcelona is based on the different metro lines. 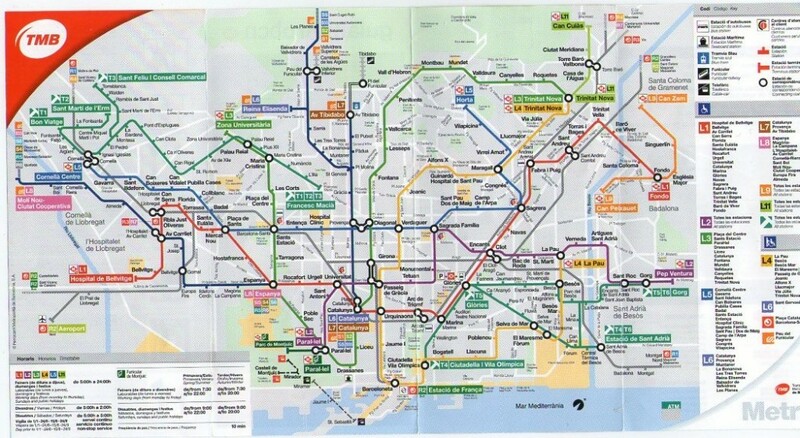 There are quite a lot of them, but if you have a good metro map it is easy to travel around in Barcelona. There are plenty of buses as well, but the general tourists finds the metrosystem more than enough. Be aware of pickpockets in the metros though, they are everywhere! To use the public transportation in Barcelona the easiest thing to do is buying a 1-day, 2-day, 3-day, 4-day or 5-day card. This only needs to be validated as you enter into the metrosystem! In most cases you only need a ticket valid for Zone-1 of the public transportation system in Barcelona. To see a map showing the zone system, click here. Below you can see a Barcelona metro map. For a bigger version, just click the image.